Feelings: Since the weather was so pleasant, RB's mother, Madam MB in Long Island took us to Port Jefferson. After strolling by the water, we grabbed a scoop of hazelnut gelato to welcome the nice weather. Madam MB's first gelato experience was a success. 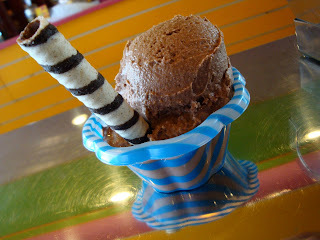 It was not as creamy as L'Arte di Gelato, but it was a perfect little treat by the sea. 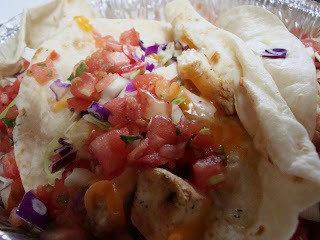 After shopping, we picked up dinner from Long Island's infamous burrito bar, Salsa Salsa. Anyone and everyone from Long Island seems to know about this place, but I must admit my skepticism was high. Burrito in Long Island? How good can it get? 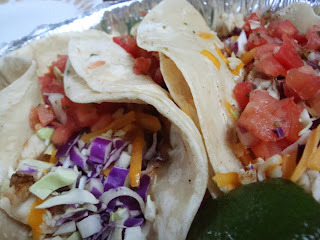 After my first bite of the giant shrimp burrito, there was epiphany: There is good food in New York outside of New York City--You can indeed find umami in Long Island. 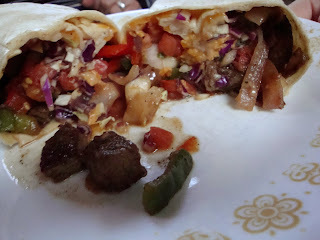 It was fresh and extremely flavorful. 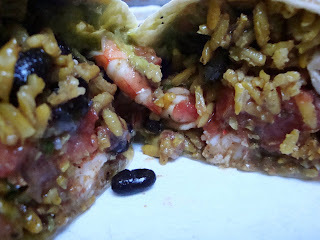 The brown rice, shrimp, black beans, guacamole in a warm tortilla were perfectly blended together, and I craved for more. Salsa Salsa may be better than most city Tex Mex restaurants. 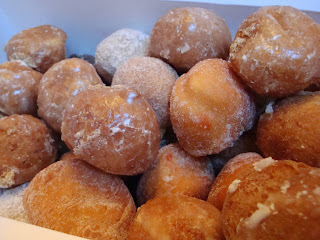 Thank you JB for bringing home 50 munchkins from Dunkin' Donuts! Perfect dinner, perfect stroll, perfect dessert: Our Saturday afternoon in Port Jefferson was a success.